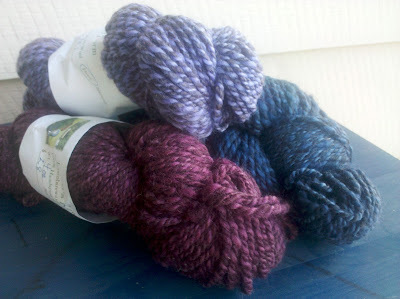 Fourth Saturday Reminder: We're Yarn Storming again tomorrow in the Little Red Barn. If you have extra stash yarn you'd like to share, bring it along--it goes to worthy causes. Our friend Jennifer Stuart has an exciting new project and wants to invite your participation, so come hear what that's all about. We start at 10 AM and go till mid-afternoon or so. - bring your spinning and knitting and a snack to share if you want. 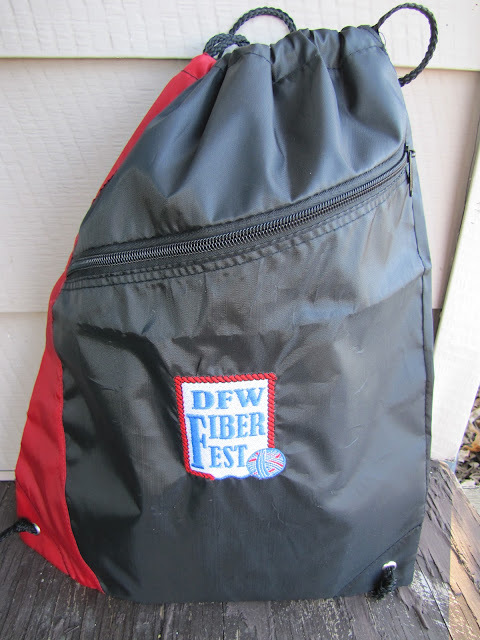 The coffee pot will be on, and we have free bottled water available. Puppy Transport Plans: Plans are starting to take shape, though there is much to work out yet. It looks like we've eliminated air travel and professional livestock transporters from the options. We're currently talking about meeting Susie or her representative half way between here and Virginia and making a puppy hand-off. We all like this idea the best because it's the easiest on the puppies. This will incur expense for both the farm and for Susie, so we're trying to round up some special funds for the trip. 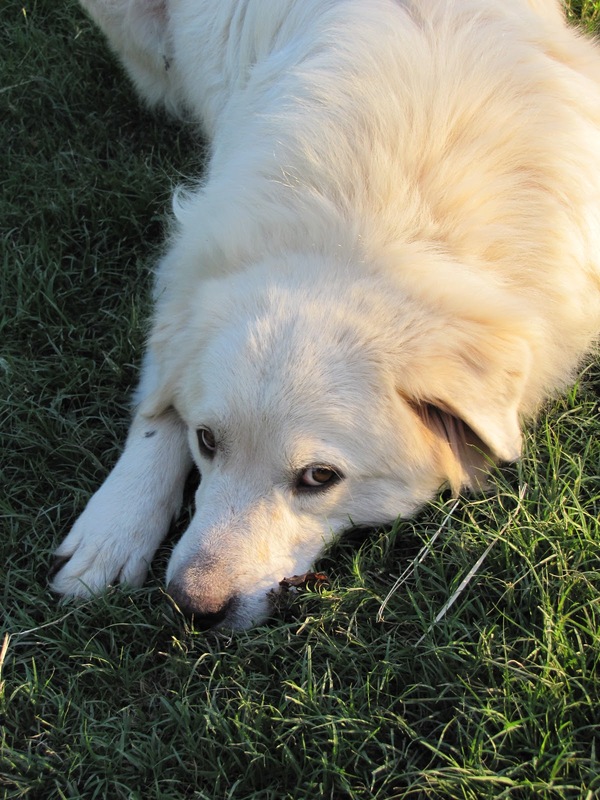 These puppies, as you know, are livestock guardians and not pets. We don't spend the kind of human/dog time together we would with a companion dog. They must bond with the flock and learn their job from the grown up dogs. But.... for folks who contribute to the Puppy Transport Fund, I am going to host a special one-time-only Puppy Reception, for donors to meet and greet the puppies once they are home. We'll take your picture with the puppies, and send you home with a little gift of thanks. I repeat - this will only happen once, and then the pups will have to go back to their training. How can you score one of these coveted invitations? Several ways... if a friend of yours buys a share between now and Valentine's Day, I'll add you and your friend to the invite list. Make sure they tell me that you sent them. My bike is for sale. 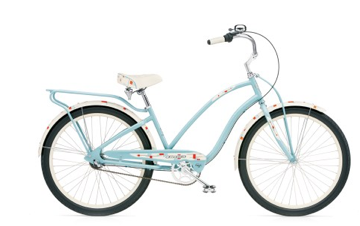 If you or a friend of yours buys my awesome Electra Gigi cruiser, you'll both get an invite. (It's going for half of its value - see right side of blog.) Of course, if you'd just like to chip in with a check, I'll be happy to add you to the list. If you have other ideas, I'm open. Thanks so much for considering this project. 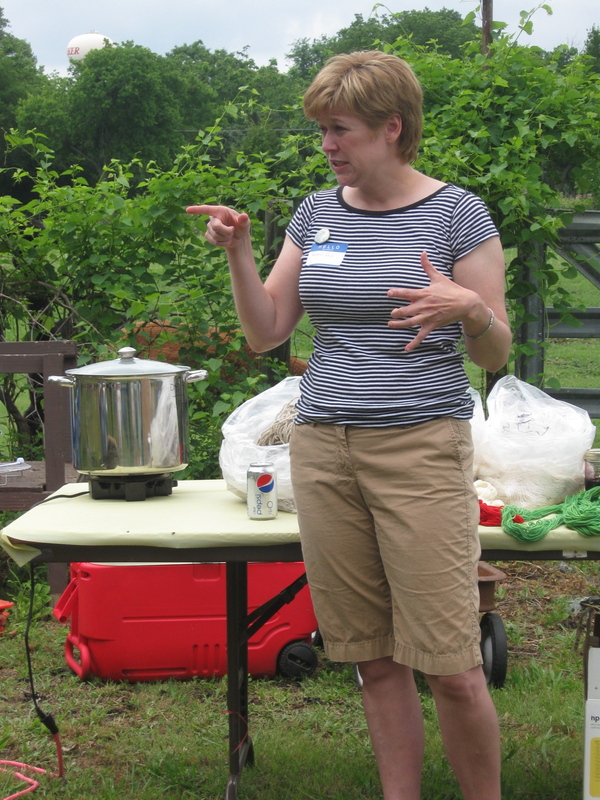 Susie Gibbs demonstrates her dyeing techniques at the farm in 2008. And lastly, next Wednesday, January 26 is a special day here at the farm. I call it "Eureka Day" for a couple of reasons. Three years ago on that day, I sat down with Susie Gibbs at a Barnes an Noble in Fort Worth and she generously shared with me all about how she started her CSA--the first fiber CSA ever. She gave me lots of marketing tips, business model tips, and encouragement. Jacob's Reward Farm as we know it was born that day. Then, one year ago on January 26, our Great Pyrenees LGD, Judah, came to the farm to protect the sheep after our horrible coyote attack. Our sheep in the north pasture have been able to sleep soundly ever since. And so have I.
I think this day needs to be commemorated, but I'm not sure how. I'll get back with you soon, but just put a little circle around the date for now. Oh my goodness - what a cute puppy face! 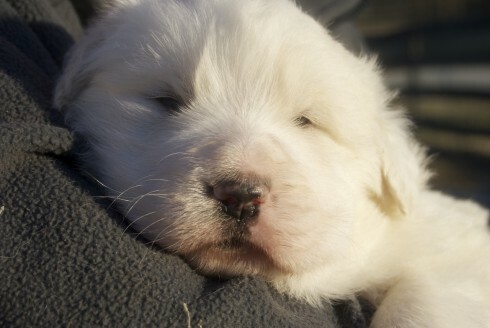 Of the many values of an LGD, I think being able to sleep well at night has to be one of the greatest. Amen to that! I have a picture of that gorgeous bike from when we were at the farm!